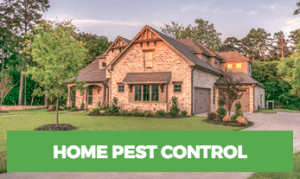 Long Islanders commonly turn to Rest Easy Pest Control when they have a pest concern. Our exterminating team finds satisfaction in ridding the residents of Long Island from their pest infestations. No matter what you’re possibly experiencing, we’ve probably been there before. Our pest control experts have years of experience and training to make your pest problem a thing of the past. Whether in your home, or your place of work, Rest Easy Pest Control is more than equipped to give you the results you need. Give us a call so we can get a technician to your property right away to prevent the problem from getting worse. Termites, ants, roaches, rats, bed bugs, it doesn’t matter. Rest Easy Pest Control is your local service for any issue that arises. As a homeowner, one of the last things on your mind should be how to keep pests out of your home. Unfortunately, a pest infestation can prevent you from focusing on anything but that. Pests can damage your peace of mind and ruin your reputation among your friends and family. While pest infestations are rarely directly caused by a lack of sanitation, this impression can be embarrassing and detrimental to your wellbeing. Pests can spell disaster for a business. They cause lost wages and business, a poor reputation, negative customer reviews, failed health inspections, and even permanent shutdown. If you are a business owner and are experiencing a new or long-standing pest infestation, you should take immediate action to rectify the situation. Pests can make people sick, and you don’t want that kind of reputation hanging around your place of employment. 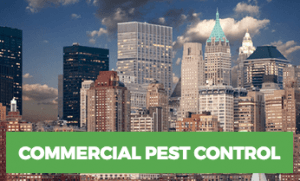 If you need commercial pest control services, call Rest Easy today. There is virtually no limit to the long list of pests that can infest your home or business. While the most common types of pests, such as flies, ants, and rodents, can be controlled by taking precautionary measures – such as keeping all areas clean, free of water, and sealed from the outside – in some cases you may not be able to do much to prevent an infestation from occurring. For example, termites strike without warning, often working for years without being detected by home or business owners. These secretive pests do their work by tunneling into wooden structures. They can completely destroy the structural integrity of a building, costing millions of dollars as they literally run a home into the ground. There is little you can do to prevent termites besides engaging in regular pest inspections by a certified professional who knows exactly what to look for, such as hollow-sounding wood or tubes outside the foundation. Another pest that you have little control over is a stinging insect. There are countless types of stinging insects, such as wasps, bees, and ants, but it’s important to know the difference between all types so that you are more adequately prepared to deal with it. Stinging insects can be dangerous, with much of the population harboring severe sting allergies that can cause hospitalization and, in extreme cases, death. If you notice nests around your home or business, you should act quickly to get rid of them. When you’re treating or preventing a new or long-standing pest infestation, one of the most important things to consider is whether the chemicals you use can potentially harm you or your family. Many pest treatments contain toxic chemicals, resulting in a pest treatment that does more harm than good.